In an industry where innovation is key, hire companies buy what is on offer from the manufacturers, however BSI has taken a different path and has created a series of specialist wireless cameras to enhance any sports or news coverage. BSI, provides wireless cameras and other specialist cameras on a hire basis. The company offers roof-mounted cameras, goal cameras, ref-cams, and wireless microphones, all of which were originally designed for motor sports applications, but now find uses in all kinds of live broadcast situations. BSI has become something of an industry heavyweight - its kit is used in some notable large projects, such as the on-board cameras for NASCAR, the cameras and mics for the PGA Golf, and the wireless cameras for the Presidential Inauguration in the USA. BSI has always designed and created their own kit, and the company has recently developed the new Tilting Ref-Cam – a body-worn POV camera now with remote tilting capability - a fully remote controlled drone camera with zoom and focus, and two special cameras created for Rugby coverage: the Lineout camera with wireless remote heads and the wireless corner post camera, a specialist POV camera which adapts from Rugby to Snooker. BSI’s own HD wireless camera-back system, ‘Real Freedom’ is a complete solution for wireless cameras in live productions, comprising of integrated Ethernet camera control which allows RF, audio and paint parameters to be controlled by telemetry via the camera control unit which is located back in the OB truck. BSI’s UK office is working on some huge productions, among them the Aviva Rugby Premiership and F1 motor racing. BSI also provides wireless cameras and specialist cameras on a daily hire basis with technical crew if required. The Real Freedom system has proved invaluable with a quick and reliable set-up for the dry hire market. While major sports events are already aired in 4K, the shots from the specialist mobile and wireless cameras are still captured at the 1080p/50/3G standard and up-scaled to 4K. However BSI’s R&D teams in Watford and Baltimore have been working for some time on the encoding and transport of the 4K video stream and completed this stage of the development a while ago. 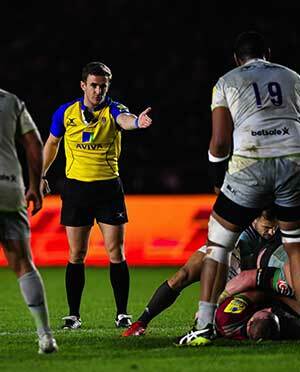 The first live test coincided with IBC, and took place in September at the Aviva Rugby Premiership in Northampton. A second test took place at the Rugby Premiership in October, where BSI added Ethernet camera control and 4x3G signal distribution, and the full 4K wireless system was demonstrated to the London audience at the SVG’s Future Sports event at the Kia Oval in November. Now BSI is putting the final touches to the extra features that will turn its 4K system into a fully integrated 4K wireless package. BSI offers its 4K solution as part of a turnkey package with on site installation, frequency co-ordination all managed by their experienced technical crews.